Get ready to join your favourite characters at Hogwarts with this charming Magic Notebook. 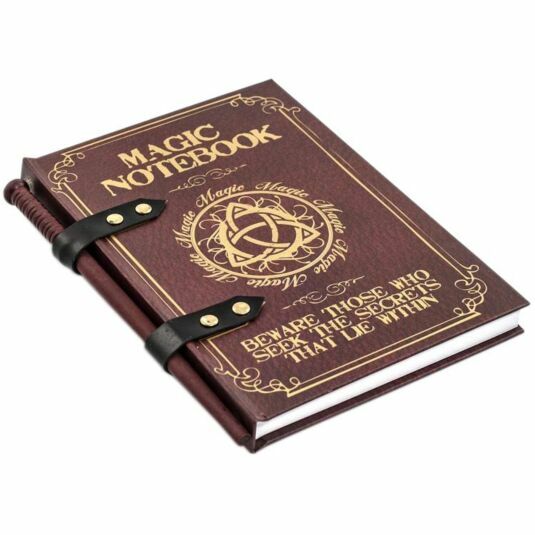 Perfect for jotting down those tricky to remember spells this A5 lined notebook comes with 90 pages ready for you to fill. The hardback book has a brown background in in gold has a number of decorative details giving it that ‘magical’ feel. On the top ‘MAGIC NOTEBOOK’ is written and at the bottom is goes on to say ‘BEWARE THOSE WHO SEEK THE SECRETS THAT LIE WITHIN’. 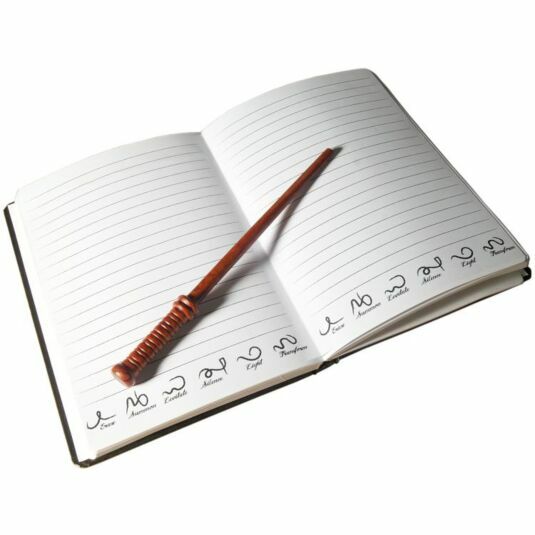 On the side there are 2 leather straps which hold a wand shaped pencil in place. The pages inside are lined and even have diagrams of how to conjure spells at the bottom of each page. This is a perfect gift for any Harry Potter fan and it even comes with a pencil that ‘apparently’ is ingrained with magic ability – we will let you be the test of that!